Apply Online For Guaranteed Approval! 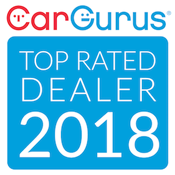 At Xtreme Auto Sales, we feel we have the best used cars, trucks, vans and SUVs that all of Little River, Myrtle Beach, North Myrtle Beach, Conway, Loris and surrounding areas has to offer. If you’re looking for a slightly used, pre-owned car, truck, van or SUV then you have come to the right place! Whether you have bad credit or no credit, we have Fast and Easy Credit Approvals so apply online today!